Life has been absolutely crazy for the past couple weeks! And because of that I haven't posted since EASTER! WHAT! Yeah, I know terrible. But sadly I don't think it will slow down for a while. I just finished Winter semester at BYU. It was a very hectic semester but luckily I passed all of my class haha! Now I start spring term on Tuesday, which is going to be equally as crazy! My favorite holiday is almost here! I LOVE Easter. Ever since I was little, Easter was a magical holiday. Because not only did we color Easter eggs and find hidden baskets, but we also got to make the most delicious cupcakes ever! 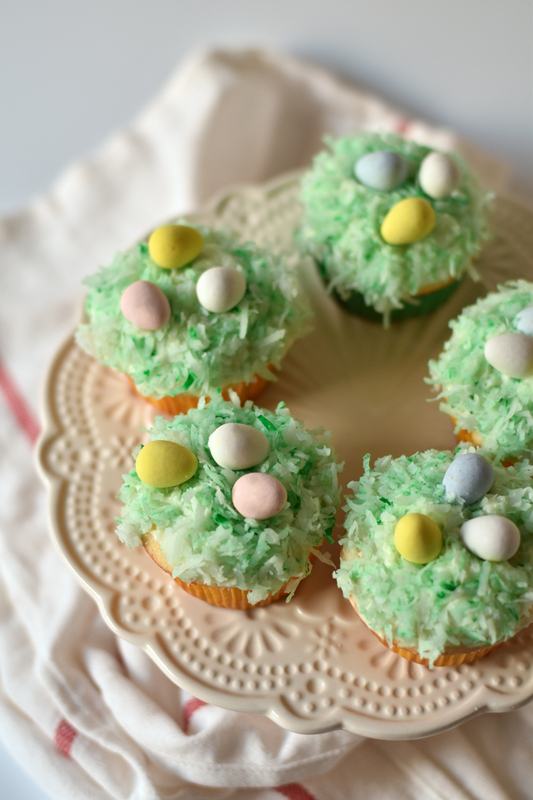 I'm a sucker for anything coconut, so obviously these Easter cupcakes are at the top of my list!